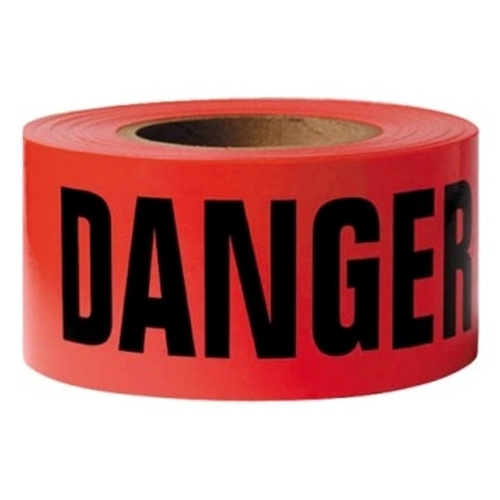 Danger Tape. Bright Red with black letters, made of non-adhesive, non-conductive plastic. 3" wide x 300' long rolls. 16 rolls/case.